You build your business success by giving your customers what they want. People choose your company over others because they prefer your unique goods and services. They become repeat shoppers because they like the way you treat them. Customers also want choices when it’s time to pay for their purchases. They want the option to use the payment method they prefer. For some, that might mean cash or a mobile wallet app. 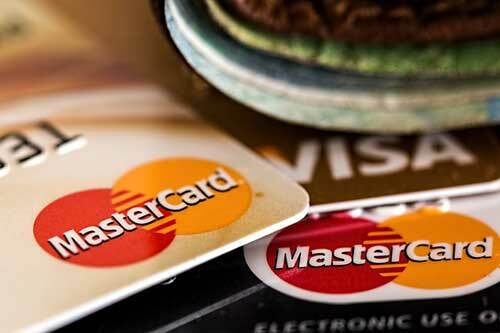 But for most consumers, credit and debit cards are the payment methods of choice. A merchant services account that enables these options is an important customer service. At Goode Bookkeeping and Consulting, we understand that credit card processing is important to your success. Many companies offer these services. But when you own a small business, the merchant services selection process is just one more thing to take you away from your day-to-day operations. We minimize the hassle by helping you establish a card-processing account with one of our trusted business partners. Some merchants successfully run a check and cash-only business. That could work for you if you have a big loyal customer base. But in most cases, a lack of payment options can limit your chances for financial success. Shoppers prefer credit cards for big-ticket items. Those who avoid carrying cash will walk away instead of buying. You’ll have to subcontract your website shopping cart or miss out on online sales. At Goode Bookkeeping and Consulting, we partner with industry leaders to serve your credit card processing needs. We have working relationships with leading providers so we arrange the services. We evaluate their programs, negotiate your terms, and establish a merchant services account that works well for your business. Whether you’re a hair salon owner, a web developer, or you operate a bar, credit card processing can be vital to your financial success. It’s important to select a merchant services provider that offers the processing efficiency, terms, and economic rates you need. That’s not easy to do when you’re busy running your business. The Goode Bookkeeping and Consulting team simplifies your merchant services selection process. We review our merchant services providers, determine the best fit for a company, and make the connections. We establish your merchant services account with a company that will serve your small business the way you serve your customers.